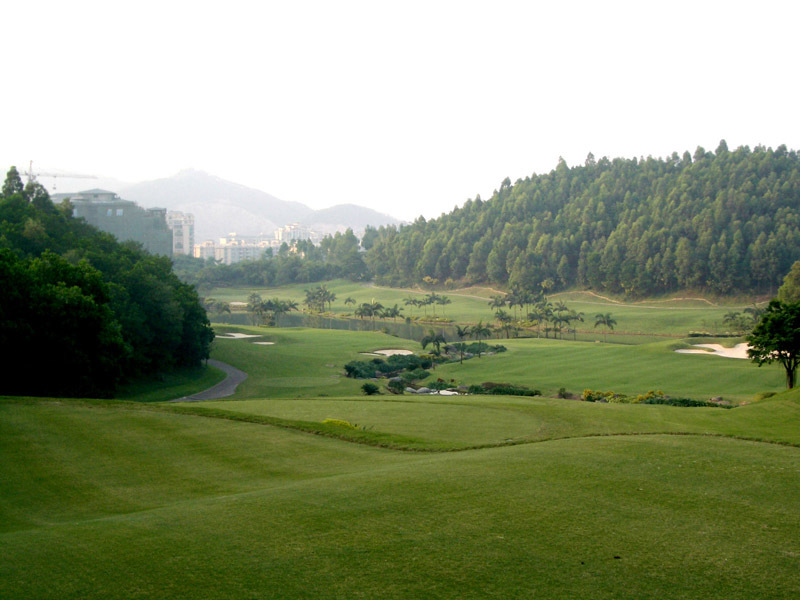 This is a mountain course so you can enjoy breathtaking views of the scenery. 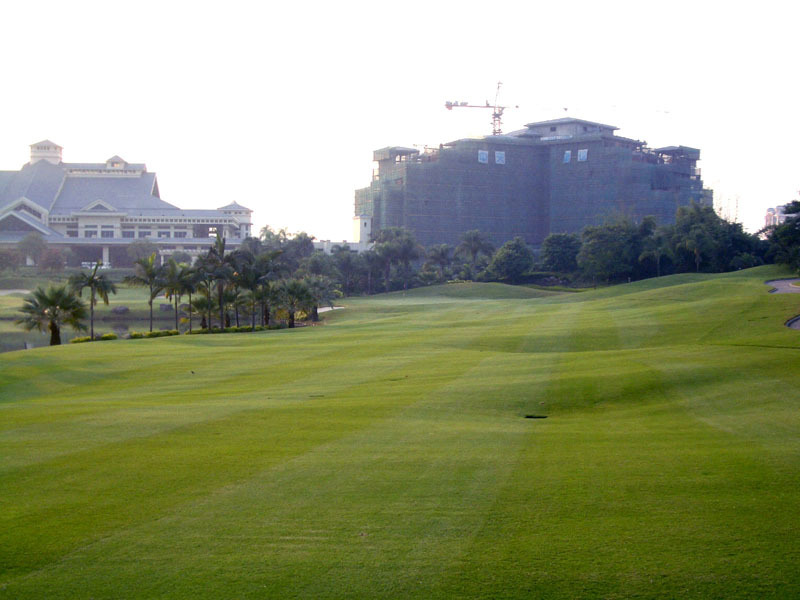 The course is on natural terrain that changes constantly from up & down stretches to doglegs to the left & right. The great fairway condition is especially impressive. 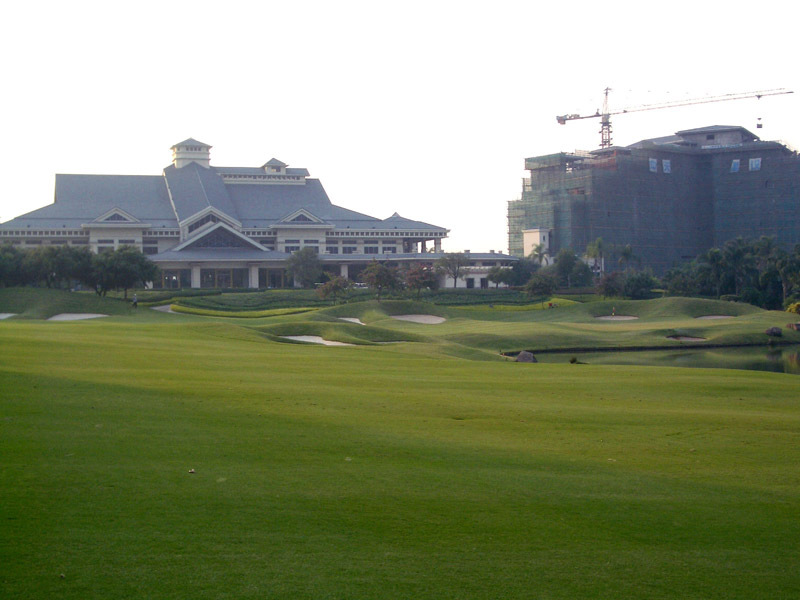 On the front 9, no one hole is alike, is very fun to play one of the crowning works of JMP Golf Design Group. The back 9 is more difficult than the front. It is not bad but is less exciting than the front 9. There are 2 tournament courses done by different designers. B Course is flatter and longer. A downhill dogleg 90 degrees to the left along a lake. The tee shot is intimidating because the landing area is narrow, between a lake on the left and fairway bunkers on the right. 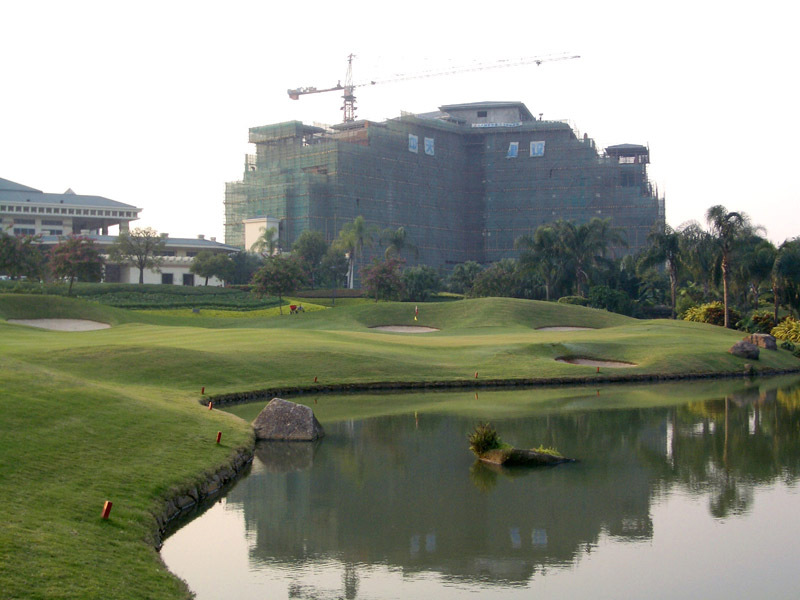 The second shot is to hit over water onto an elevated green. 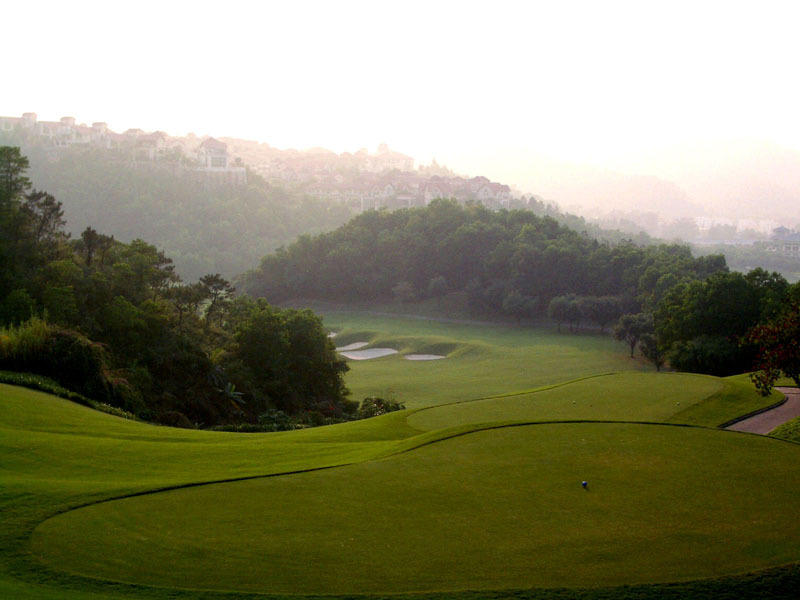 A downhill, beautiful par 3. If you hook the ball, it will land in a lake facing the left side of the green. 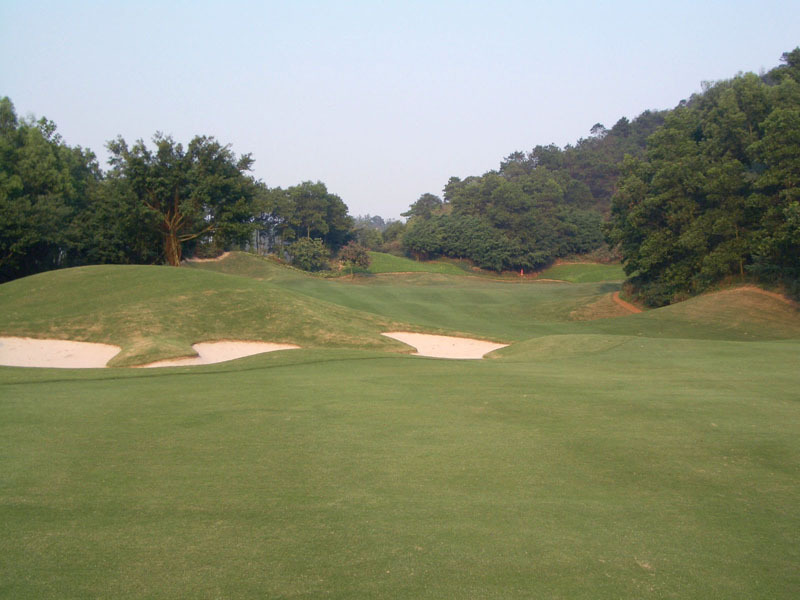 The elevated green is guarded by some bunkers and has mild undulations that make putting interesting. 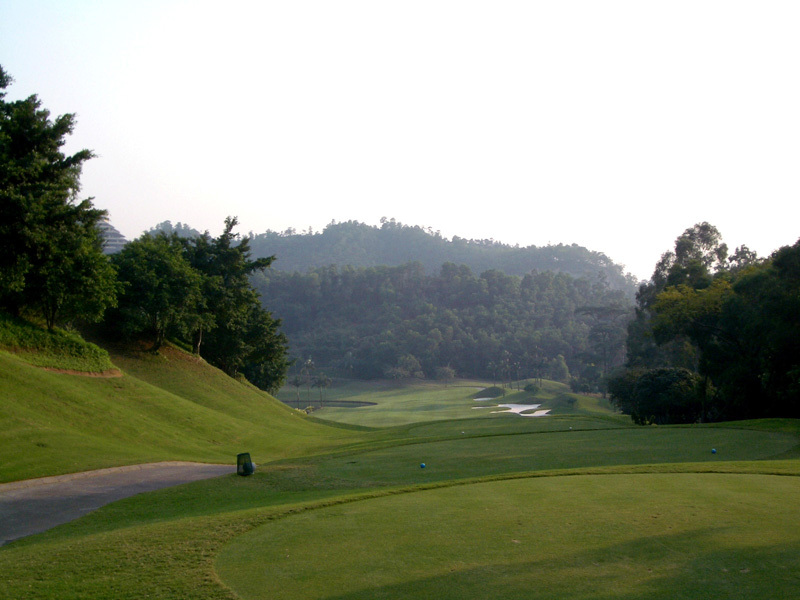 A although it is a short par 5, the second and third shots are steep uphill. 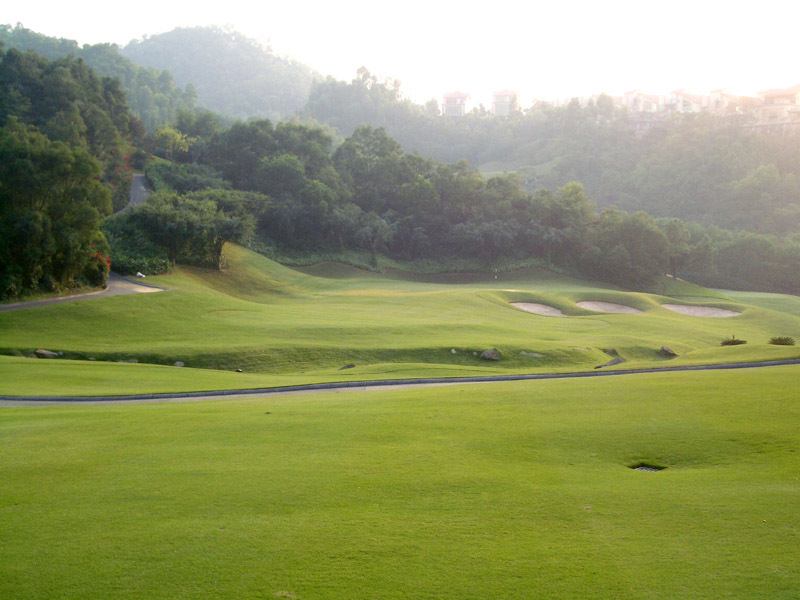 For the first shot, you need to hit the ball some 200 to 220 yards to carry over a valley. 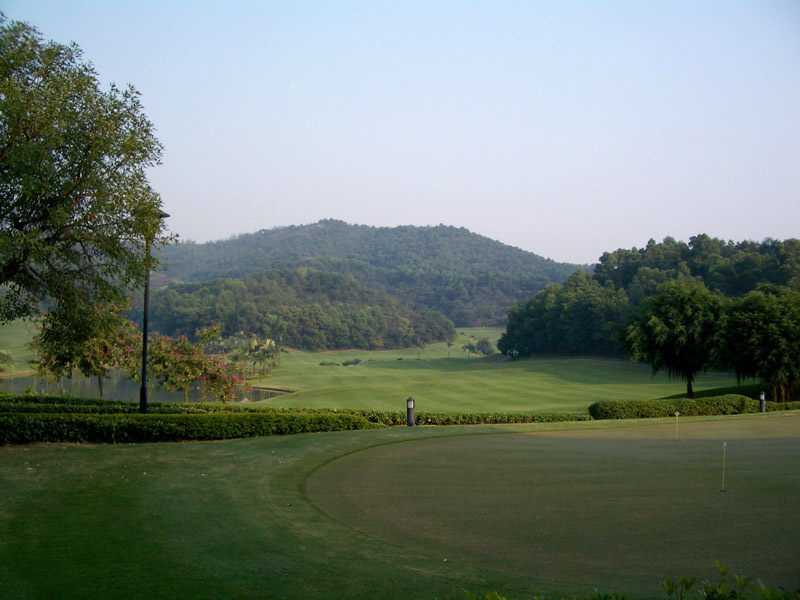 The green is huge with difficult slopes as well as undulations and the tension runs high when you putt. 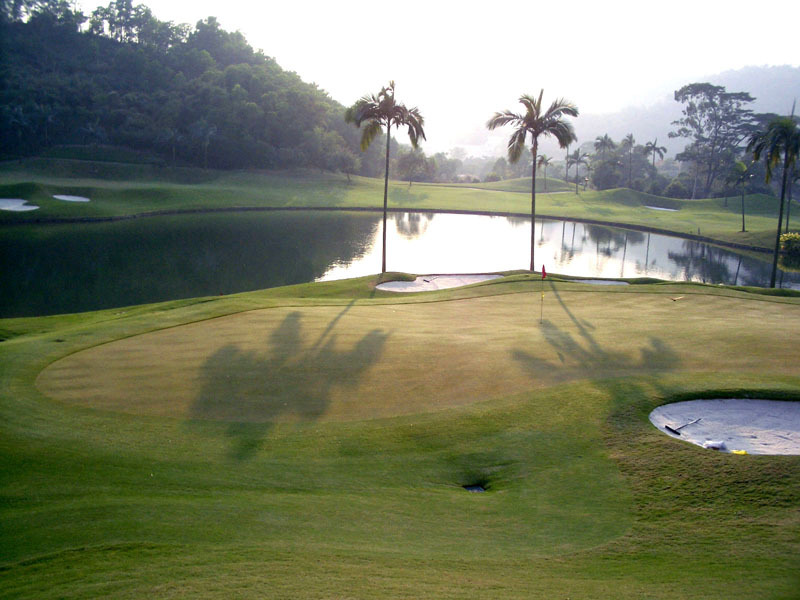 This hole has been selected as one of the best 500 holes in the world in the year of 2000 by US Golf Magazine. It is a downhill dogleg to the left and bunkers split the fairway. The elongated green has some undulations. 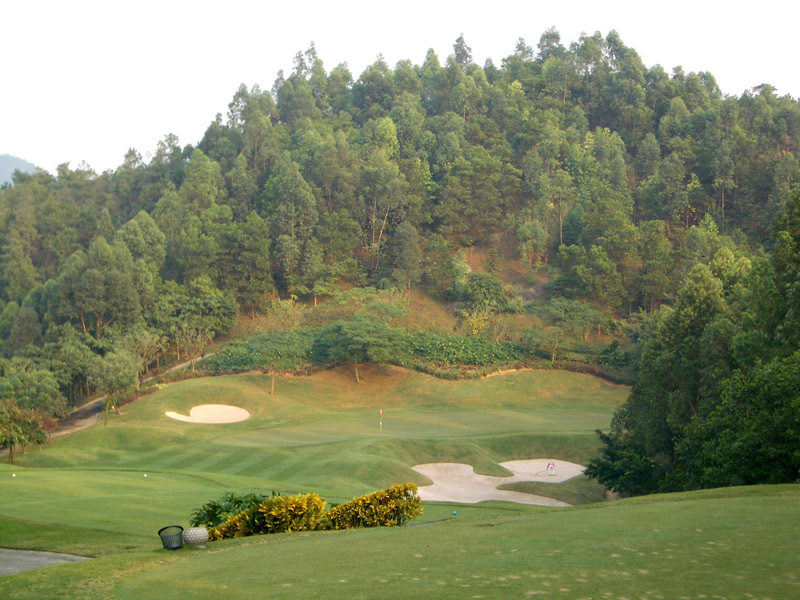 If the pin is at the back and your approach shot is short of the green, a steep slope catches your ball, which makes it difficult to save par. This hole has an attractive layout with a very fine view. A dogleg to the left with a dynamic downhill drive to a split fairway, left & right, separated by a creek. 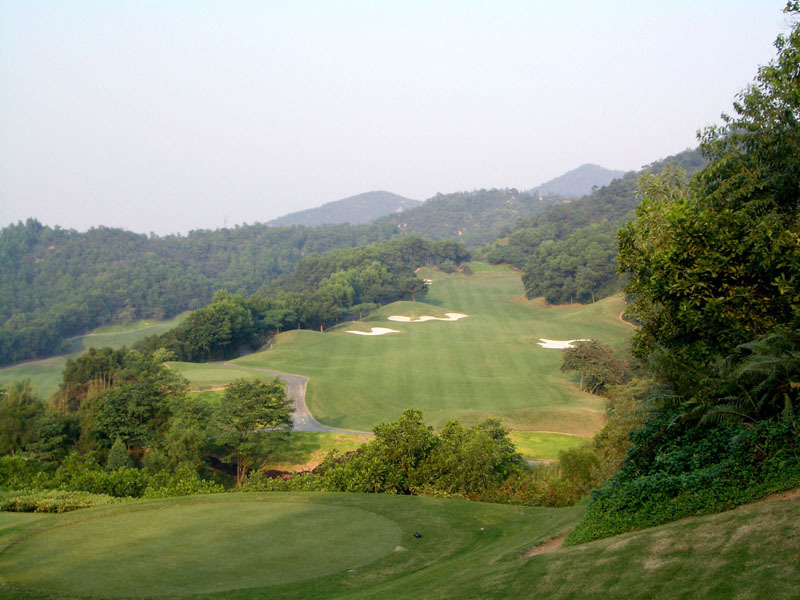 If you are a long hitter of 250-yard drives with a precise control, you should choose the left fairway, then with the help of the prevailing tail wind, and strong downhill factor, your drive will be long enough to reach the green in 2 with an iron. However, if your drives are shorter, you should hit the narrow landing area: otherwise, your ball will tend to be caught by water on the right or to disappear into trees on the right. To play safe, you should hit to the bigger fairway on the right although it is farther away from the green, and you still have a birdie chance with a good approach shot. I think this split fairway would be better if the new tee were 30 yards longer or the tail wind becomes a head wind. An impressive hole with a memorable view. The green is not deep but quite wide and if the pin is on the right, a bunker at the front of the green and a steep slope are in play, which makes it harder. A slightly dogleg to the right with dynamic downhill drive on this hole, too. If you hit too far right, your ball will disappear into trees on both the tee and second shots. 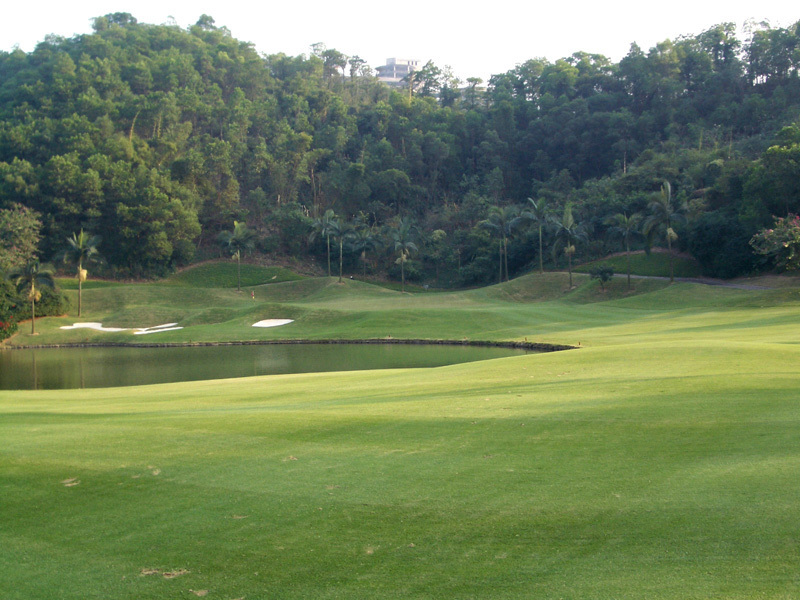 On the second shot, you also need to pay attention to a lake facing the fairway and the green on the left. The view from the tee is breathtaking. The luxury clubhouse is another feature. It takes 1hour and 40 minutes from Hong Kong to Zhongshan Harbor by ferry and another 20 minutes by club bus. 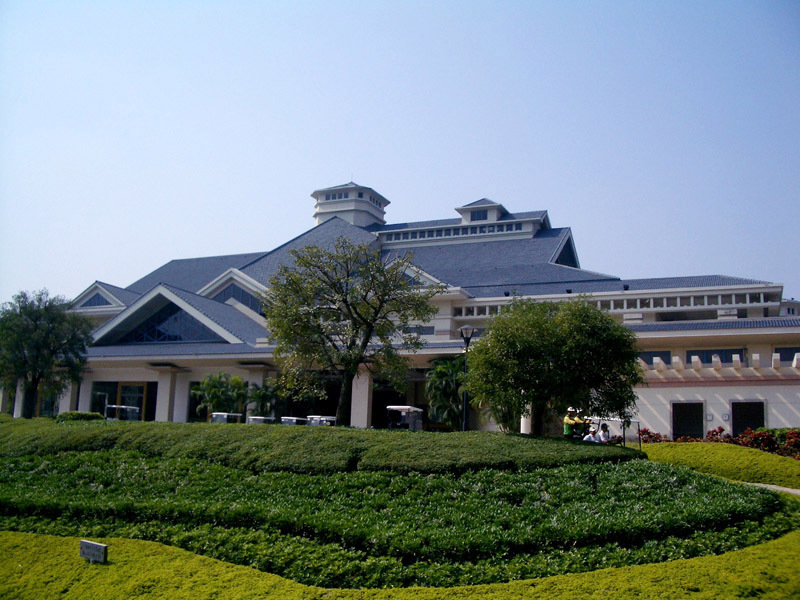 It takes 45 minutes from Zuhai by taxi. If you like to play this course from the longest tees (gold tees), you need to send a written request to the club a week in advance. 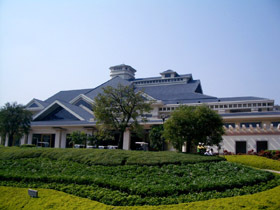 The other JMP Golf Design Group & J. Michael Poellot designed courses in Asia are Caledonian GC, Tomisato GC, Nasu Chifuriko CC, GlenOaks CC, Prestige GC, Iwate Numakunai GC, Golden Palm CC, Green Hill Seki GC in Japan, Long Island (長安) G&CC, Sun Valley (紅峡谷) GC, Beijing (北京) GC, Peach Garden Fontaine (佛山南海桃園楓丹) GC, Lakewood (翠湖) GC in China, Royal Kuan-His (老翁関西) GC in Taiwan, Rajpruek C, Lakewood CC in Thailand, Mt. Malarayat R&GC in Philippine and Rainbow Hills G&HR in Indonesia.